It's finally here. A brief glimpse of what is to come for Cafe Races. This tech demo give you the change to see the CB750 up close and personal. The project was built as a developer version. Meaning developers can use console commands to dive a little but deeper into render features. 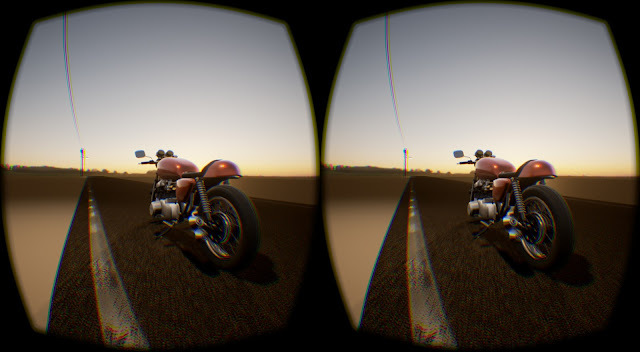 An extremely belated update: I would like to announce that Cafe Races will be coming to VR! Next weekend I will try my best to release a downloadable tech demo of Cafe Races for the first time! Keep an eye out!! Thanks to everyone who still keeps interest in Cafe Races. You are the best! It's finally here, GDC! I look forward to the conference each year and I have got a feeling this year will be a big one! After seeing a session about Forza last year, I was inspired to create a complex car paint shader. I always learn a great deal about the industry. I will be spending as much time as I can speaking with team members from Epic. 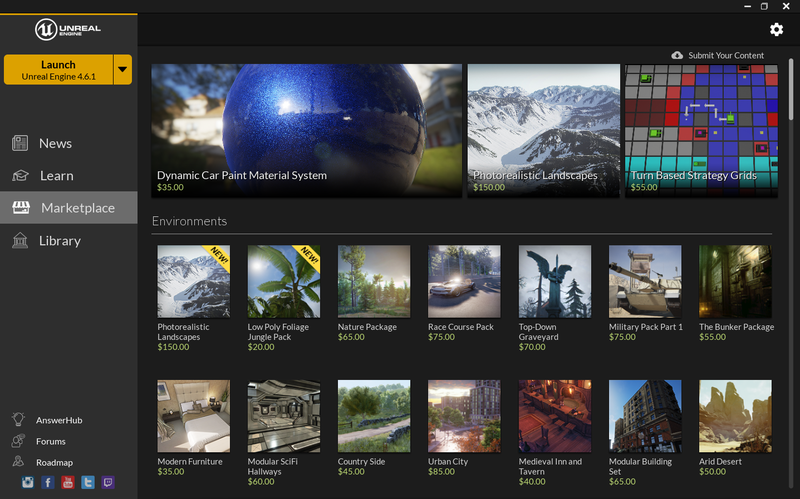 UE4 has been amazing to use over the past year and I am looking forward to what they might have coming next. Before leaving for San Francisco, I put together a short sequence to use for experimenting with DirectX12 (Microsoft is letting devs get a taste) and I thought I would share the video will you all! Its nearly identical to the original CB750 showcase, with a few extra improvements. Just a sneak peak at more to come! 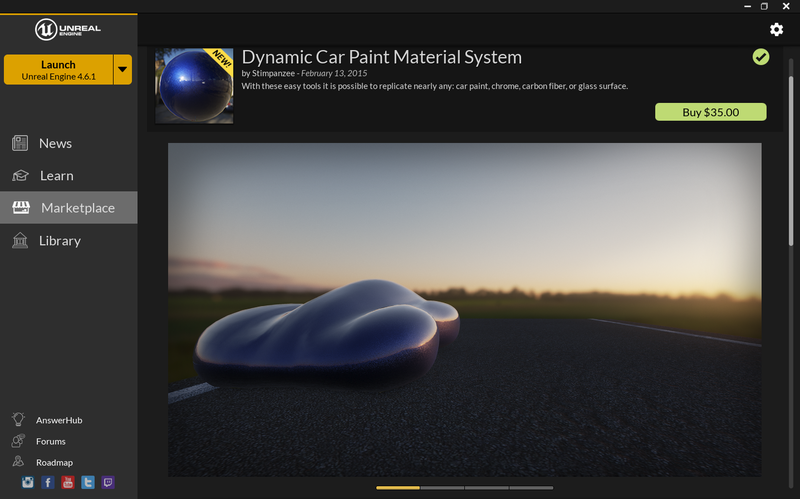 After nearly a year of development, my car paint materials are finally available on the Unreal 4 Marketplace! I feel lucky to be a part of the Marketplace, so early on. I'm really excited to see what developers will come up with, using the system. The documentation is being finalized this weekend. Those who have bought the shaders will be able to follow along with a tutorial series which will highlight features, tools, and optimization techniques. The shaders reflect the level of quality which Cafe Races is striving to achieve in every facet of visuals. During the next few months of development, I would like to give another push for a top quality vertical slice. Originally the idea was to release a playable demo for download. A much shorter vertical slice is my new target. Focus on quality over quantity. If you are interested in working on Cafe Races, send me an email (vincent.stimpson@gmail.com) I'm always looking for gear head talent to join the project. It's been more than a month since my last update, but interesting research has been going on behind scenes. Yesterday I gave a shot at using real world terrain data to generate height maps, from SRTM data. Thanks NASA! The data is nearly 15 years old, and the accuracy isn't top of the line these days, but it is exciting to see real world terrain in UE4! There are a few companies which sell higher quality images. Nasa's data is accurate to 90m per pixel. New terrain data being sold is accurate to sub meter accuracy. Although, these options are pricey and will remain out of reach for the time being. Perhaps in the future it will be possible to map the UK far beyond this video, but at least we have a start! I have started focusing some of my time sorting out some of the bugs that were causing ugly graphics. Screen space reflections are an integral part of UE4's reflection system. It's starting to become a common tool in the industry, but the system still has a few bugs. When applied to dynamic objects, a distracting ghosting effect renders on screen. Thankfully, I spent a great deal of time developing the car paint shader. It is capable of rendering realistic chrome with realtime reflections. Using my own materials it is possible to retain SSR, by use of the environment assets, and assigning my material to anything dynamic. 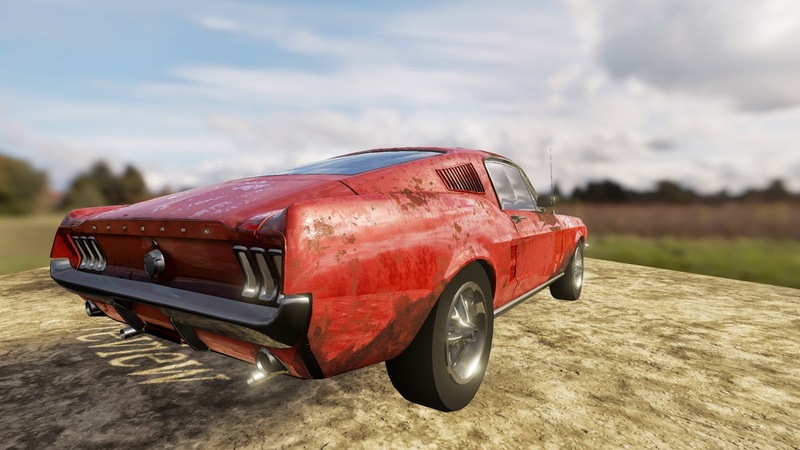 One of the last features I wanted to implement into the car paint shader, before submitting it to Epic, was rust. Now it's finished! The rust is driven through vertex colors, which means you can paint where you want the rust to form. It's still using parameters to affect the look. Which means changes can still be made at run-time! Here is an example of what an instance of the shader is now capable of.